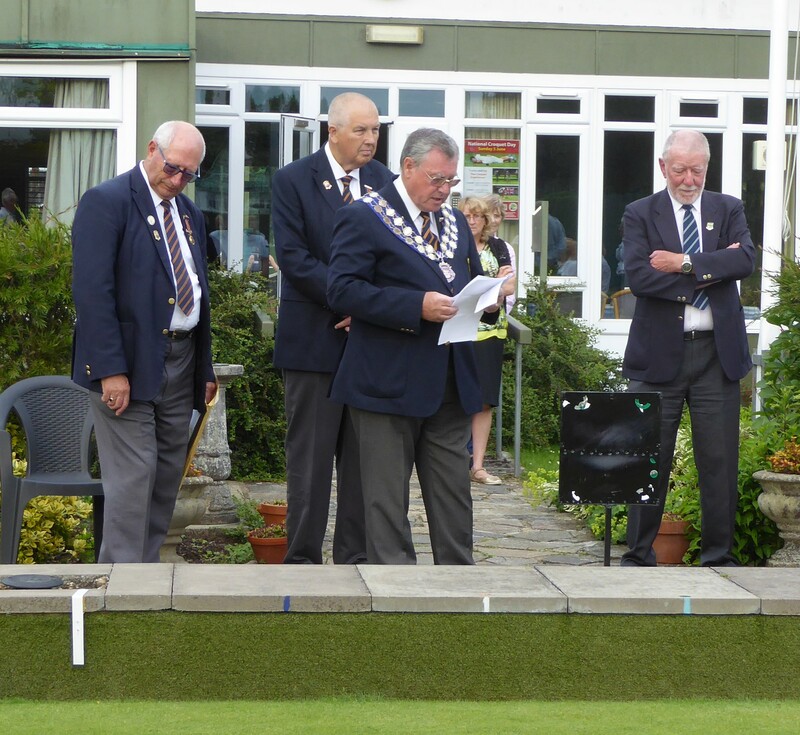 It was a normal Monday Night Roll-Up except for the visit of Graham Dawber, the Surrey County Bowling Association’s President, accompanied by Vice-President Derek Harvey and Junior Vice-President Roger Lanham. 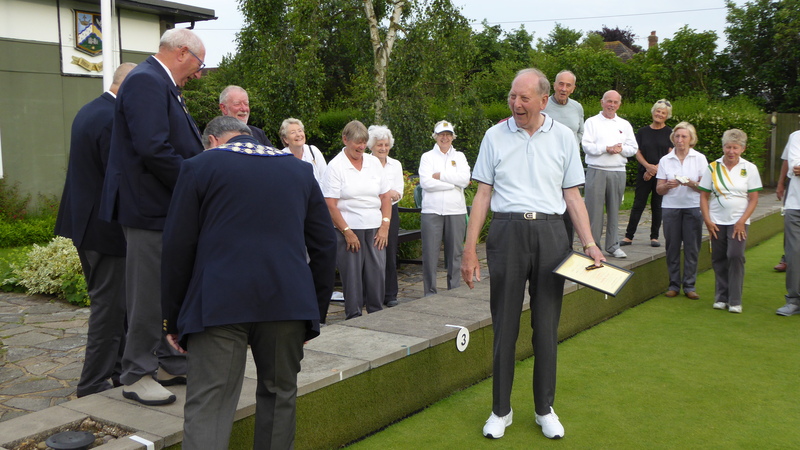 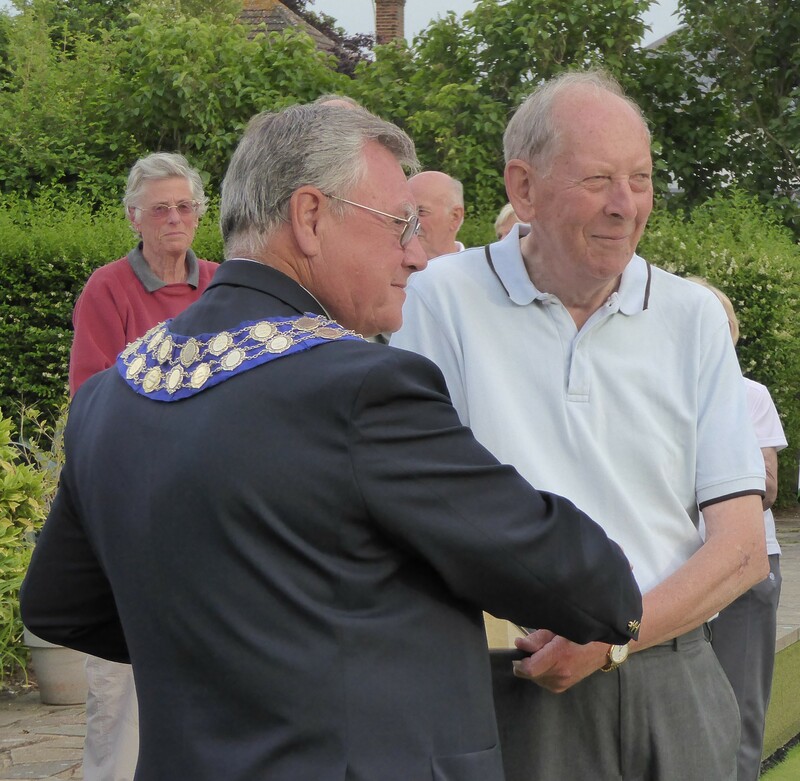 They were here to present the prestigious Surrey County Leopard Award to Jerry Ingham in recognition of his many years of service to Ember Bowls Club. 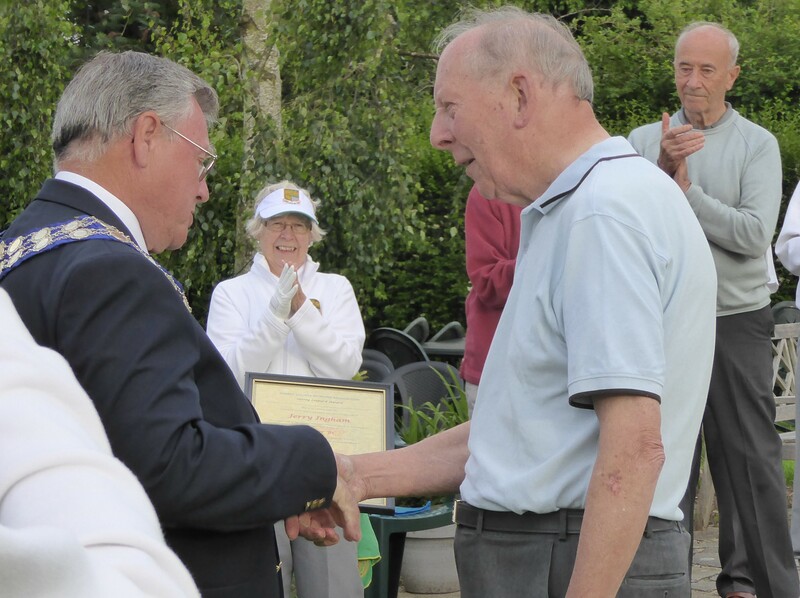 Citing Jerry’s many contributions to the wellbeing of the Club, including initiating the beginners courses and evening triples league, President Graham Dawber presented Jerry with his Surrey Leopard blazer flash and certificate. 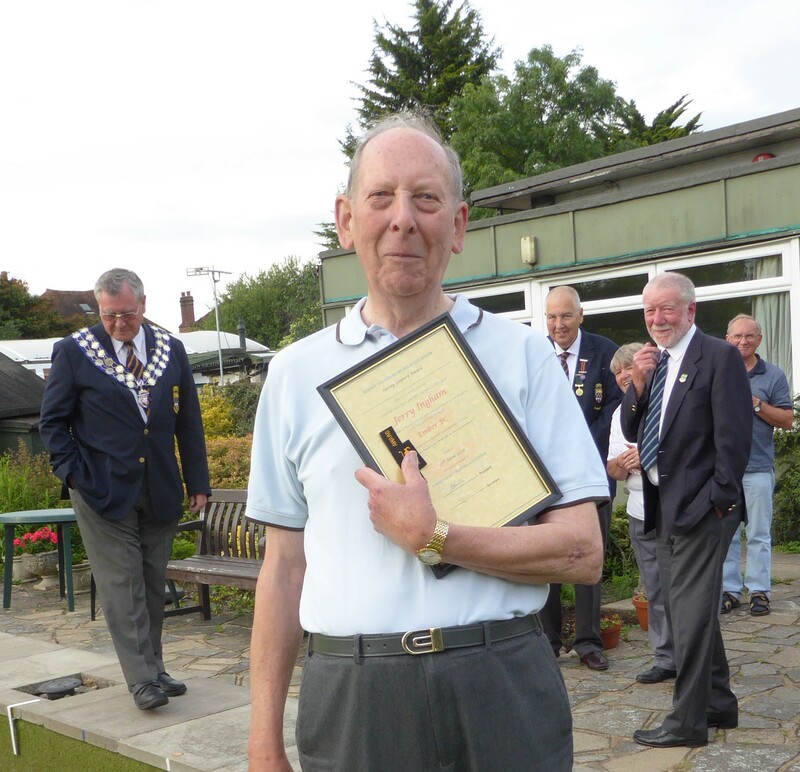 Congratulations Jerry; thoroughly deserved. 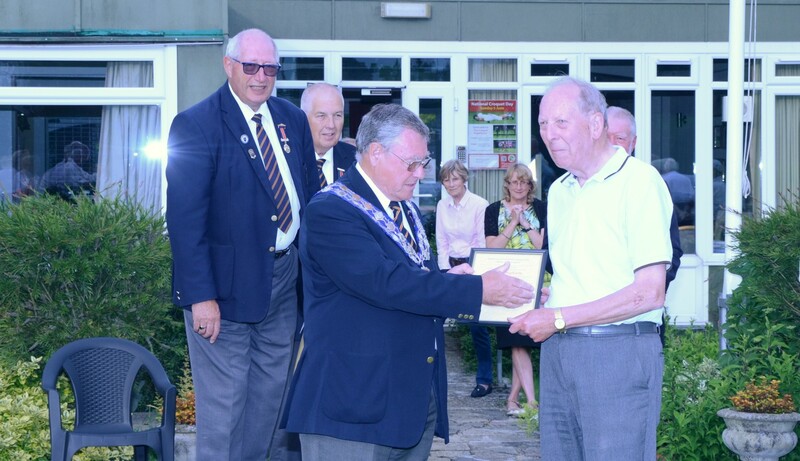 President Graham Dawber reads the citation.